A crafting table design concept that features a lot of storage compartments. Click on the image to access a SketchUp file for this concept. 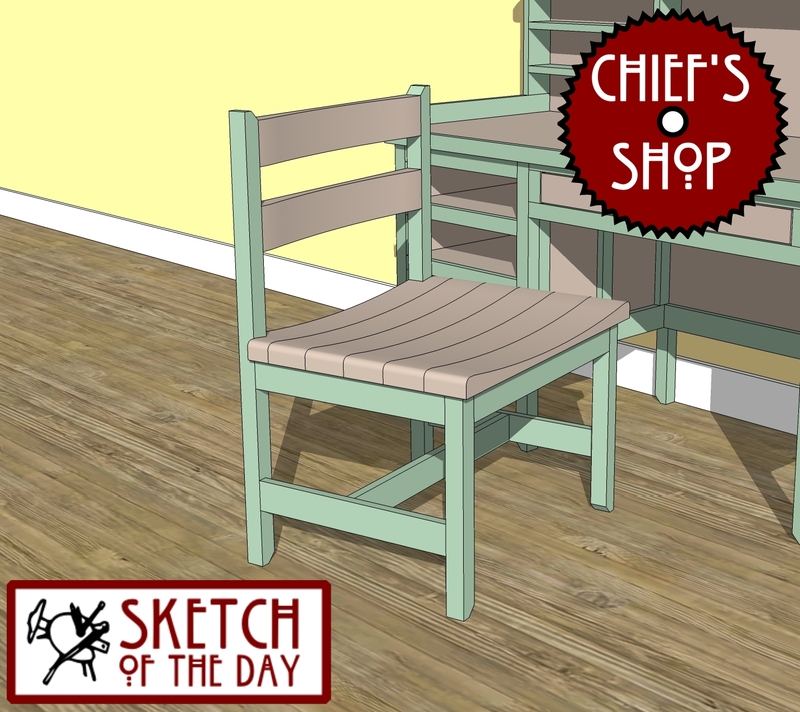 A bench version of yesterday’s simple party chair design concept. 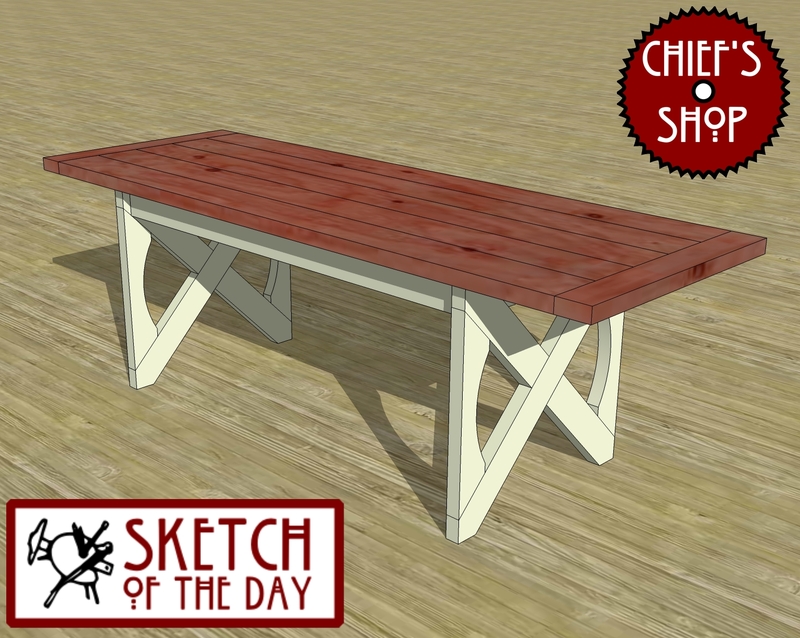 Click on the image to access a SketchUp file for this concept. 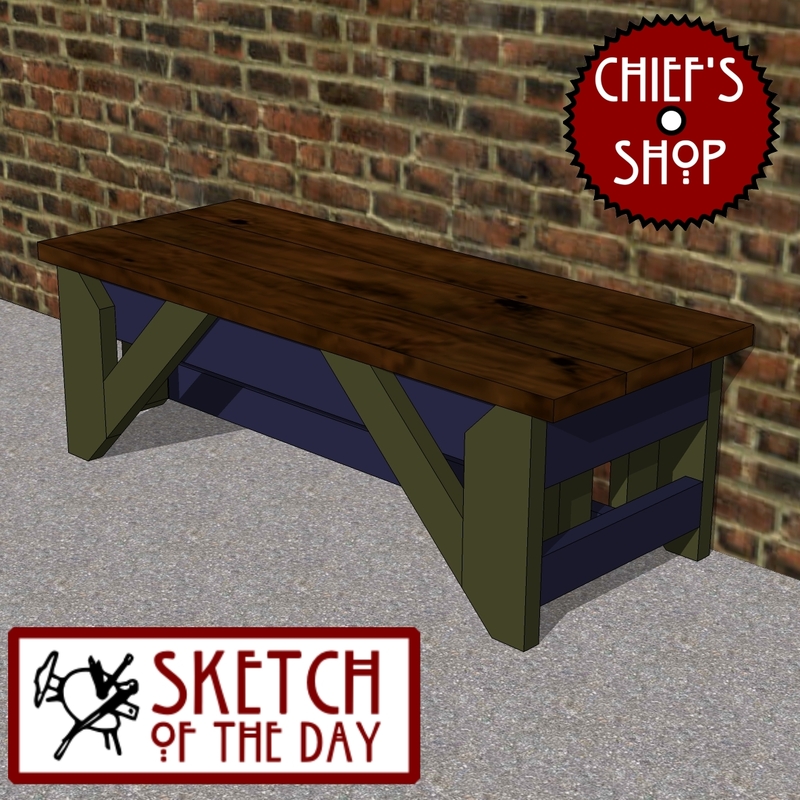 A simple entry bench design concept – good for a foyer or mudroom. 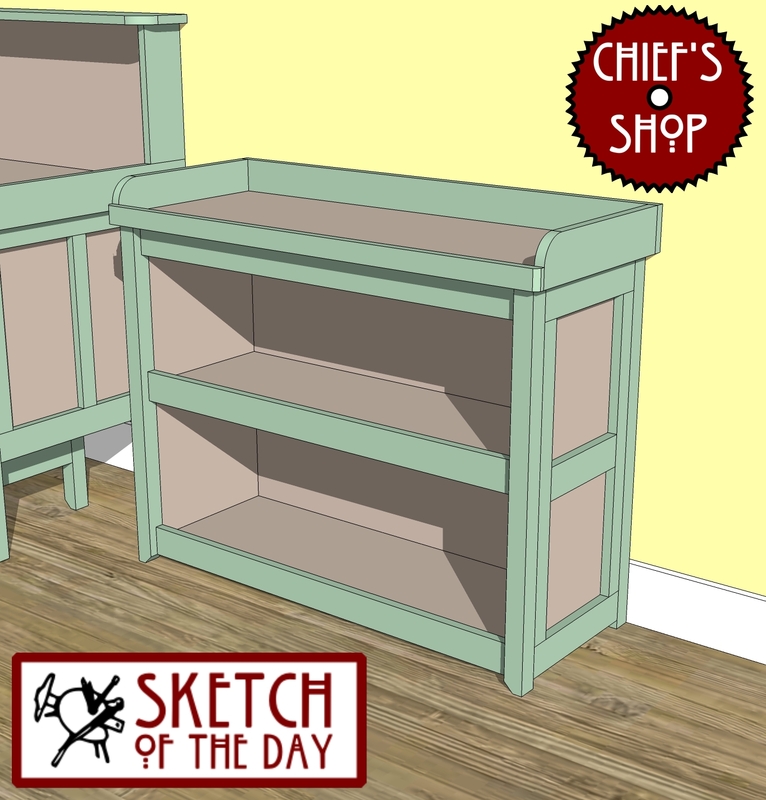 Click on the image to access a SketchUp file for this concept. 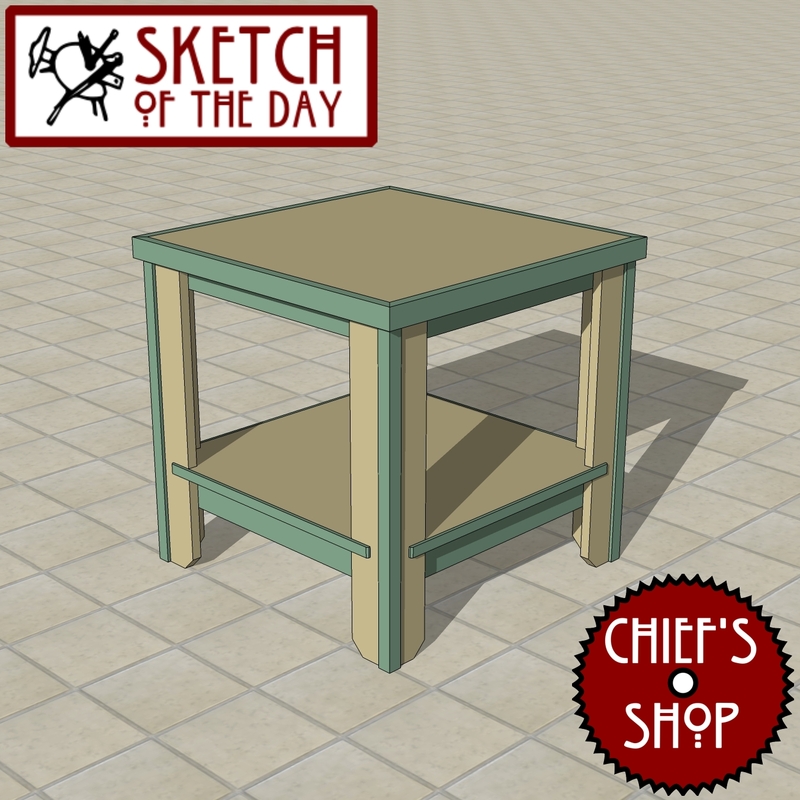 An end table concept that may become part of a beginner series of project plans I’m working on. A modern chair design concept. 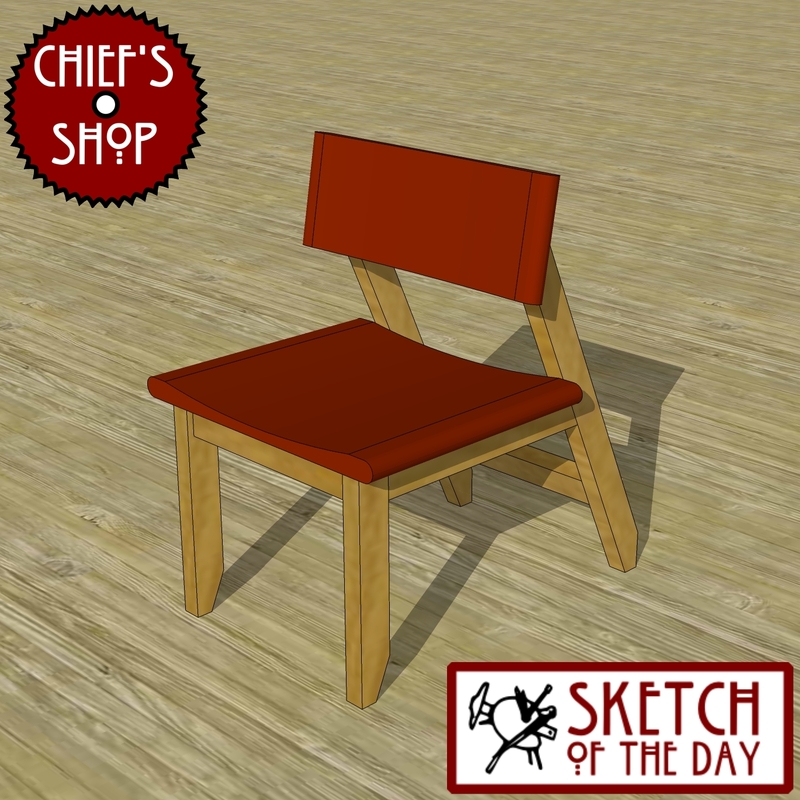 I call this concept a “wayback” chair because of the steep angle – you’d be sitting “wayback” in it. 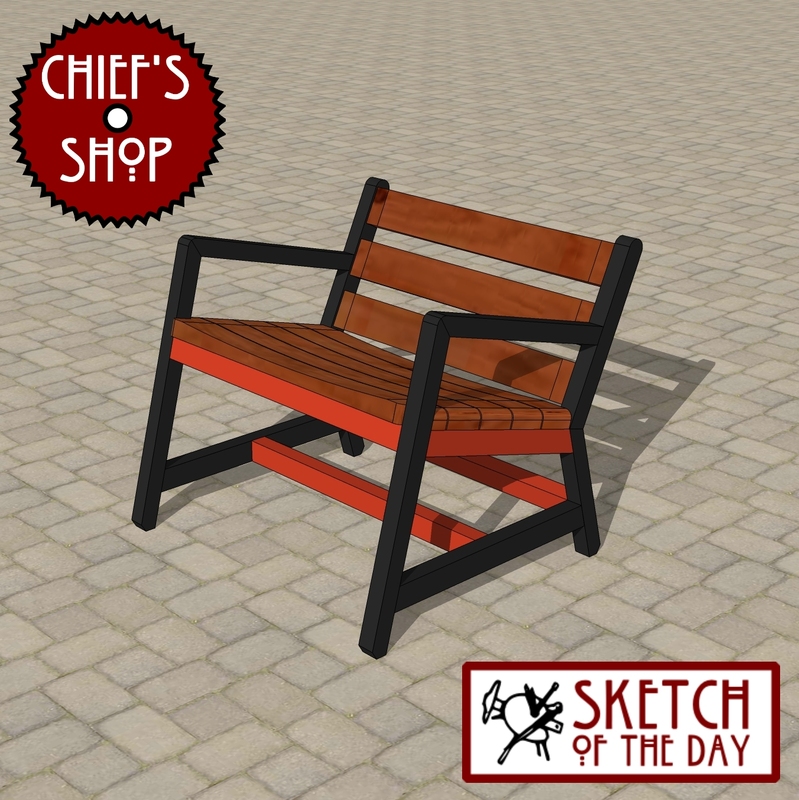 I picture this bench concept in the front of store on an old town center, or in front of a rustic restaurant. 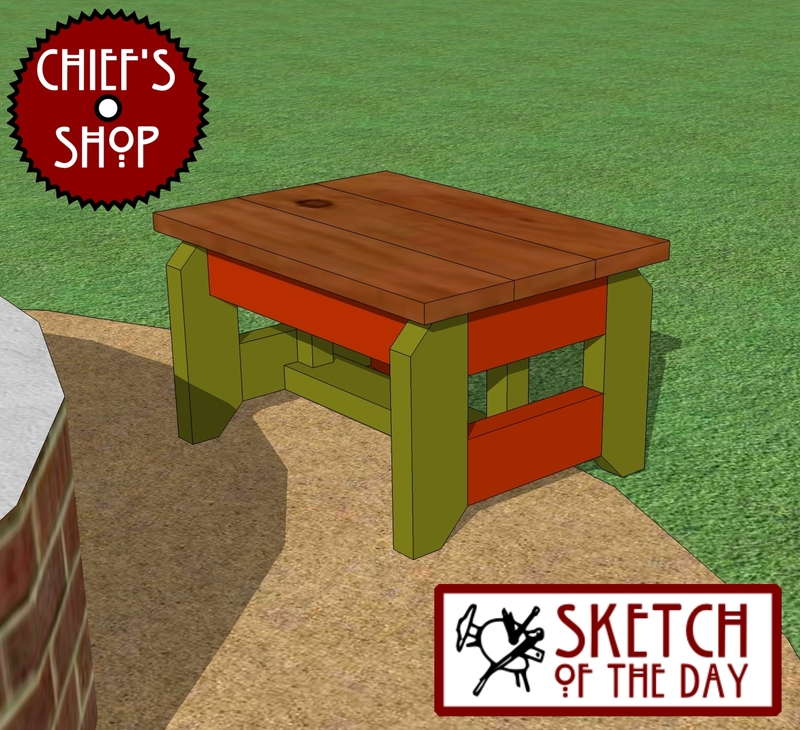 A large format table concept for a deck or patio. 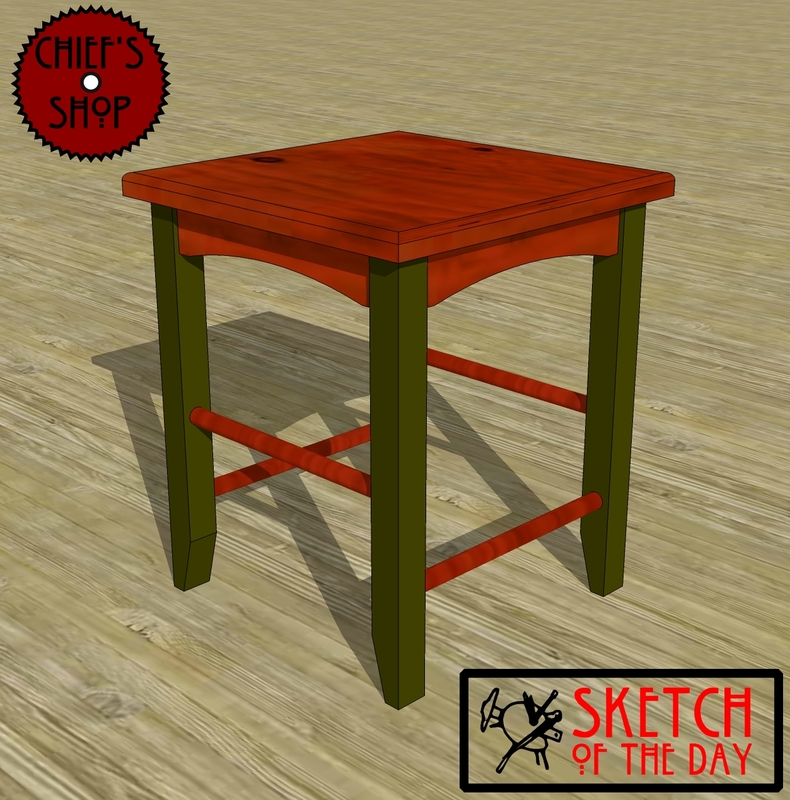 A simple stool concept to be used at a kitchen island or bar. 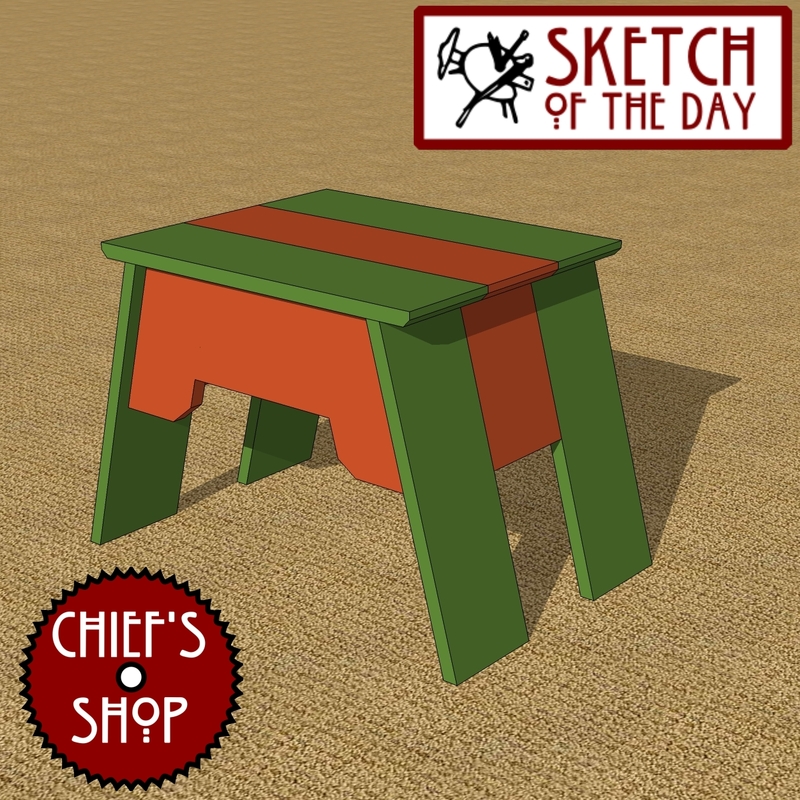 I used similar design elements from my bed bench and night stand concepts.